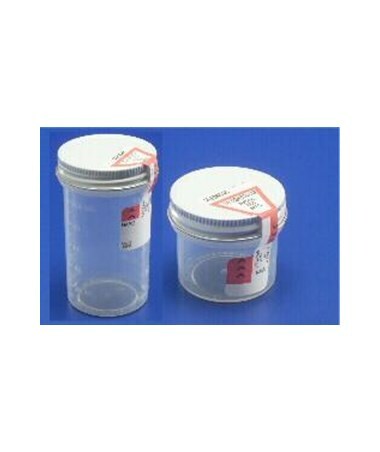 2 oz Container, 1-3/4" x 1- 3/4"
Precision 2oz sterile specimen containers with tamper evident seals offer a leak-resistant seal which allows for effective transport in pneumatic tube systems. 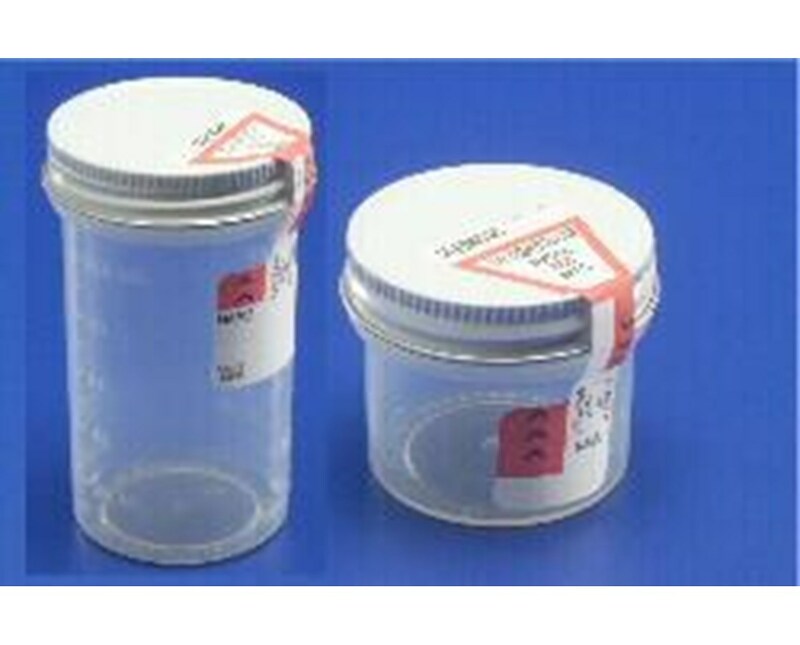 These containers offer a clear plastic construction with graduations for easy observation and measurement of contents. Each container has a highly visible "positive seal" indicator, which clearly shows that the container is sealed when red bars are lined up. Exclusive metal lid with plastic lining provides a leak-resistant seal to minimize leakage of specimen during transportation. Purchase right here online, select a quantity from the drop box above and press add to cart!